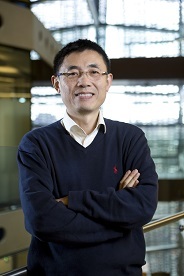 Associate Professor Jian Zhang joined the University of Technology Sydney (UTS) in 2011. Now he is with the School of Computing and Communications. Before that he was a Principal Researcher with Data61 (formerly NICTA) and a Conjoint Associate Professor in School of Computer Science & Engineering, the University of New South Wales. A/Prof Zhang was with the Advanced Analytics Institute (AAi) and recently he is the research lab leader of Multimedia and Data Analytics in the Global Big Data Technologies Centre (GBDTC) at UTS. His research interests include Image Processing & Computer Vision, Pattern Recognition & Data Analytics, Multimedia & Social Media Signal Processing, Large Scale Image & Video Content Analytics, and Multimedia Information Retrieval. A/Prof Zhang has published over 120 papers in top journals and refereed conference proceedings. He has actively engaged with research collaboration with industry labs supervised PhD research students, as well as developed new multimedia analytics courses. Since 2011, as a leading chief investigator in UTS, he has led more than 10 research projects with industry labs, whose total value exceeds million A$. The industry labs include Microsoft Research, Nokia Research Centre and Toshiba Tec, Huawei Technologies, Finland, Japan, Australia and China. Apart from paper publications and book chapters from his research output, he was co-author of more than ten patents filed in US, UK, Japan and Australia including six issued US patents and one China patent. Dr Zhang earned a PhD from School of Information Technology and Electrical Engineering, UNSW@ADFA, Australian Defence Force Academy, at the University of New South Wales in 1999. From January 2004 – July 2011, Dr Zhang was a Principal Researcher with Data61 (formerly NICTA), where he was a research leader of Multimedia and Video Communications Research at NICTA Sydney Lab in UNSW Kensington campus. He led three NICTA research projects in the areas of computer vision, pattern recognition, video surveillance content analytics. In 1997, Dr. Zhang joined the Visual Information Processing Lab, Motorola Labs in Sydney as a senior research engineer and later became a principal research engineer and foundation manager of Visual Communications Research Team, Motorola Labs in Sydney, Australia. While at Motorola labs, he worked on a range of research projects including image processing, video coding and communication, image segmentation and multimedia content adaptation. Dr. Zhang is an IEEE Senior Member. He is the member of Multimedia Systems & Applications Technical Committee & Visual Signal Processing and Communication Technical Committee in IEEE Circuits and Systems Society (CAS). He was the member of Multimedia Signal Processing Technical Committee in Signal Processing Society. He was the Technical Program Co-chair of 2014 IEEE International Conference on Visual Communications and Image Processing; Associated Editor (from 2006 to 2015), IEEE Transactions on Circuits and Systems for Video Technology (T-CSVT) and Associated Editor, EURASIP Journal on Image and Video Processing. He was a Guest Editor of Special Issue on Individual and Group Activities in Video Event Analysis -- Journal of Computer Vision and Image Understanding 2016. As a Leading General Co-Chair, A/Prof Zhang chaired the International Conference on Multimedia and Expo (ICME) in Melbourne Australia 2012.